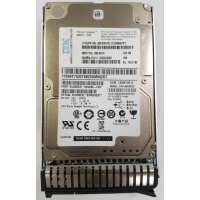 139 GB 2.5-inch (Small Form Factor (SFF)) 15k rpm SAS disk drive on Gen-3 carrier/tray. Supported in SFF-3 SAS bays. Disk is formatted for 528 byte sectors. If reformatted to 512 byte sectors, capacity would be 146 GB.